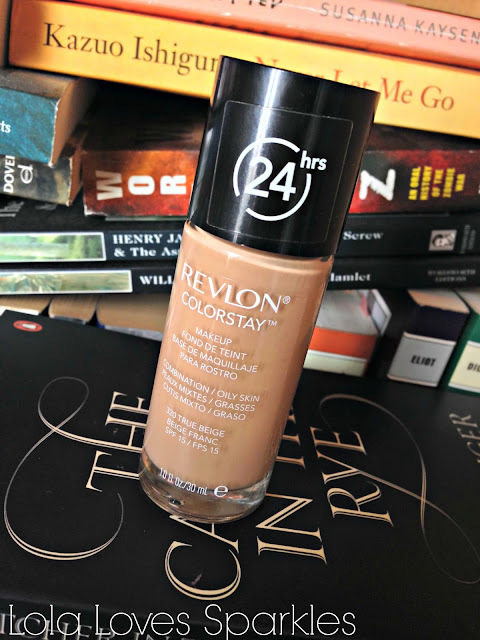 Let me start by saying that this Revlon ColorStay Foundation was one of the first ever foundations I had tried in my youth. I can easily remember my frustration at a lack of pump [or my lack of foundation brushes back then]. I got this around September and I chose the shade True Beige. Big mistake. This shade is extremely pink toned. And I'm olive and so this does not work well on my skin. What was I thinking?! Although it does look different under harsh lighting as opposed to natural lighting. In order to use it all up I will have to surely mix it with a BB cream or with a lighter foundation. Unlike other foundations, this does have a scent - to me it smells like old compact powders. It also has a very fast setting time - do not, and I repeat do not, dot this all over your face and expect to blend it. 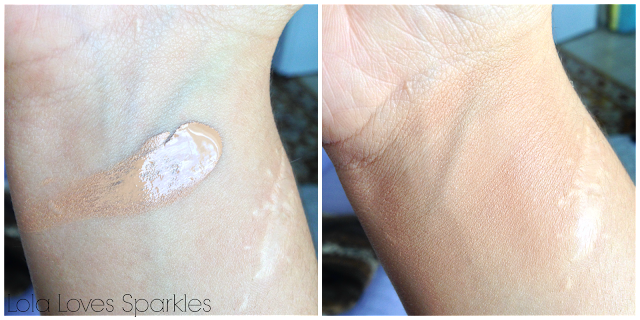 You have to apply this a bit at a time if you don't want to end up with streaky, unblended foundation. It does feel a bit sticky at first, but settles in quite nicely. It gives a nice semi-matte finish and has normal coverage [which can turn to full coverage if you apply more than 1 layer]. It does not give a caked out look. It has a slightly thick, quite runny consistency. Re: the 24hr longevity promise - I say blehhhh. I have yet to find a foundation which lasts that long - and in all honesty, who the heck wears foundation for 24hrs straight? Although it does wear for about 6/8 hours. My main problem with this Revlon ColorStay Foundation is that it turns my face really really oily! No amount of setting powder can keep the oil at bay. Boo. I really just can't get they hype over this foundation! I will never re-buy and god knows when I'll finish this bottle up. Have you ever used this foundation? Thoughts?